Let’s get personal for a moment – how much attention do you pay to your poo? It might surprise you to know that your bowel movements can actually say a lot about your health. 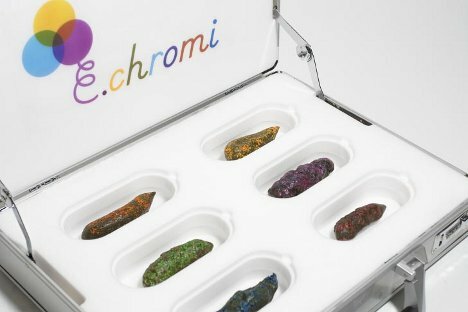 A group of scientists and designers wants to make it even easier for you to gauge your health just by looking at your solid waste with a product called E. chromi. Users would have only to drink a special beverage laced with an engineered strain of E. coli – don’t worry, it’s perfectly safe. When the bacteria makes its way through through the gut, it turns poo into a color that identifies what type of digestive system malady the user is suffering from. 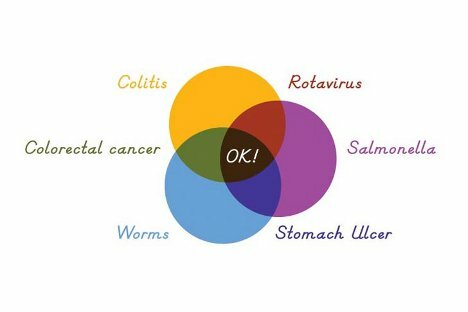 Rotavirus, worms, salmonella, colorectal cancer, colitis and stomach ulcers are all represented by different colors. But a normal brown result means that all is well in your bowels. The bioengineered bacteria could be useful not only for identifying the gnarly diseases making your gut feel gross – it could also be used in other industries in the future. The engineered bacteria could make for chemical-free food dyes in the future as well as eco-friendly textile dyes and simple water safety tests.